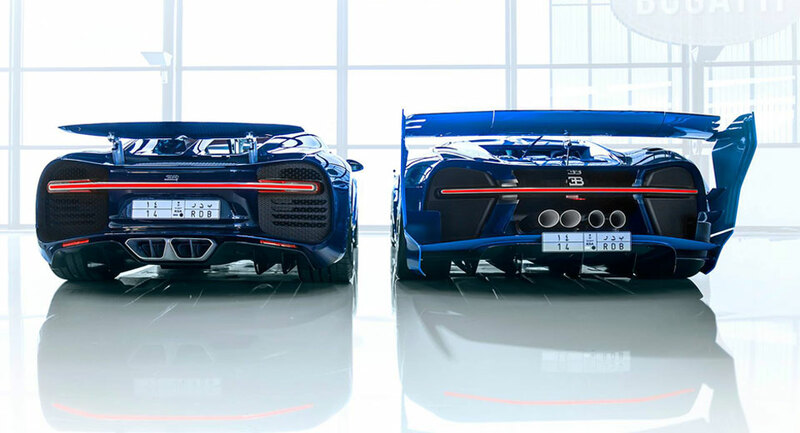 There’s little question that Bugatti makes some of the fastest, most powerful hypercars ever, and we would consider ourselves immensely fortunate to have to choose which one we’d want. But if push came to shove, we would be tempted to go with this one right here. 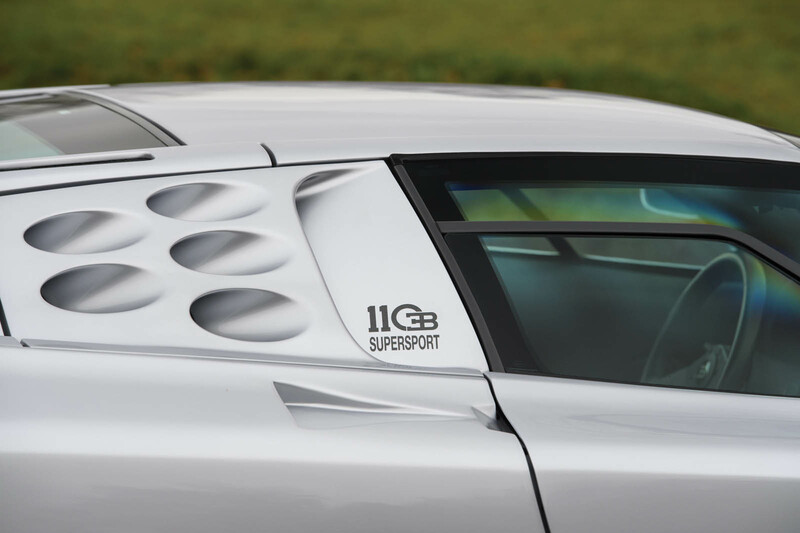 It’s a 1993 EB110 SS, the lighter, more powerful, and altogether more extreme version of the pre-VW Group era. 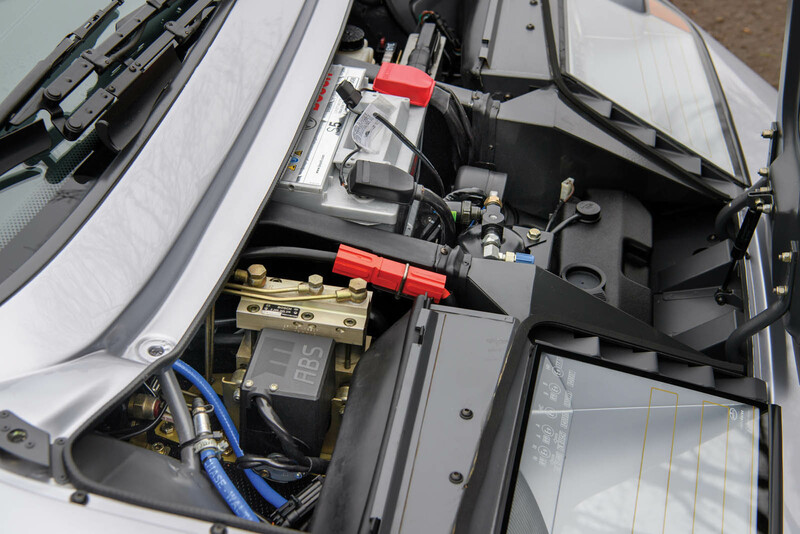 Instead of “only” 550 horsepower in the EB110 GT, the SS model packed 604 hp, providing world-beating performance capabilities for its time. Now, at this point, you may be thinking that the new Chiron – and even the Veyron that came before – pack a more powerful punch. And you’re right, of course, as 600 is less than a thousand, any way you slice it. 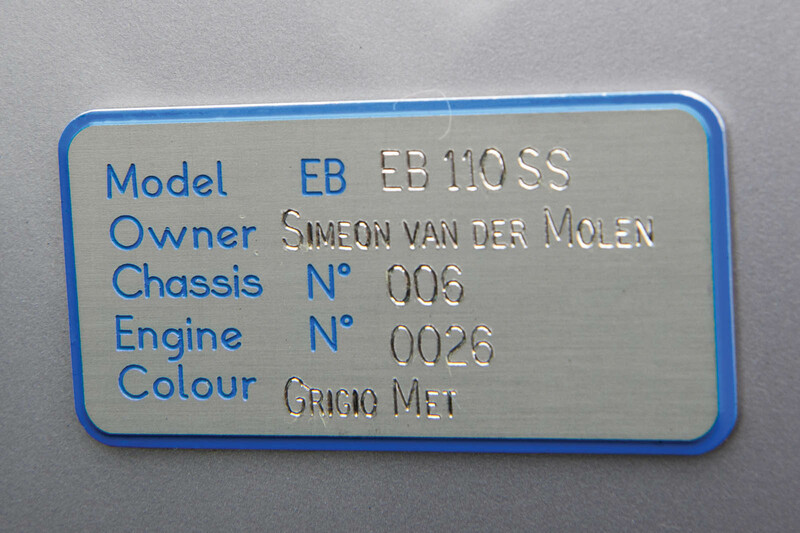 But the EB110 is lighter. 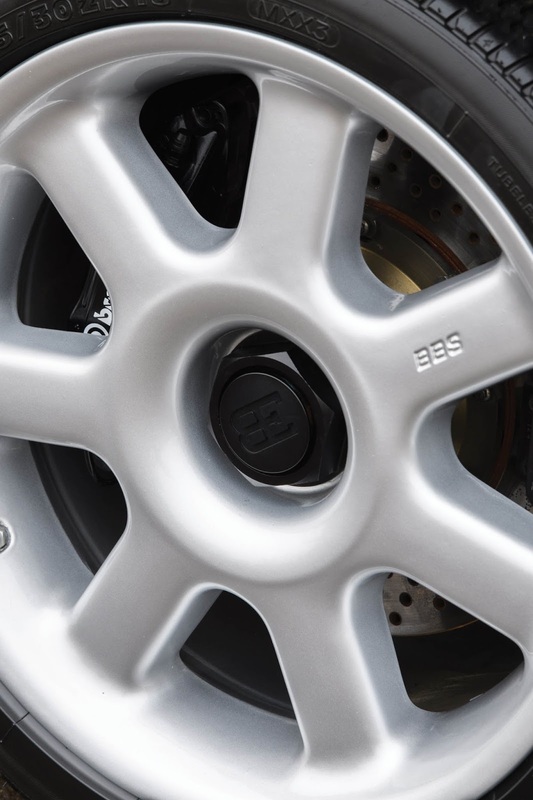 Over a thousand pounds lighter, in fact: where the Chiron weighs around 4,400 pounds (almost as much as an Audi Q7), and the Veyron over 4,100 lbs (more than a Q5), the EB110 SS tips the scales at less than 3,300 lbs (barely more than an Audi TT). 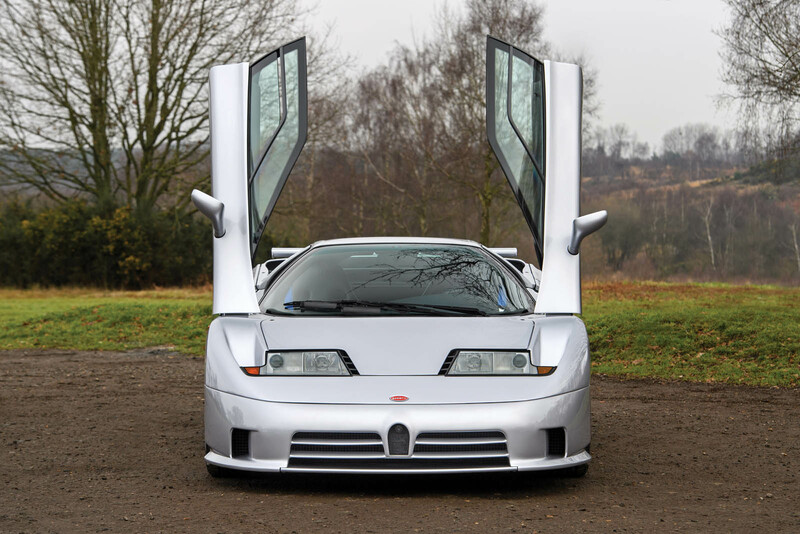 With a (relatively) small-capacity 3.5-liter quad-turbo V12, the EB110 SS boasted a specific output of 172 horsepower per liter – better than the Veyron (even the Super Sport) and bested only by the Chiron (with its massive 1,479 hp) nearly a quarter-century later. 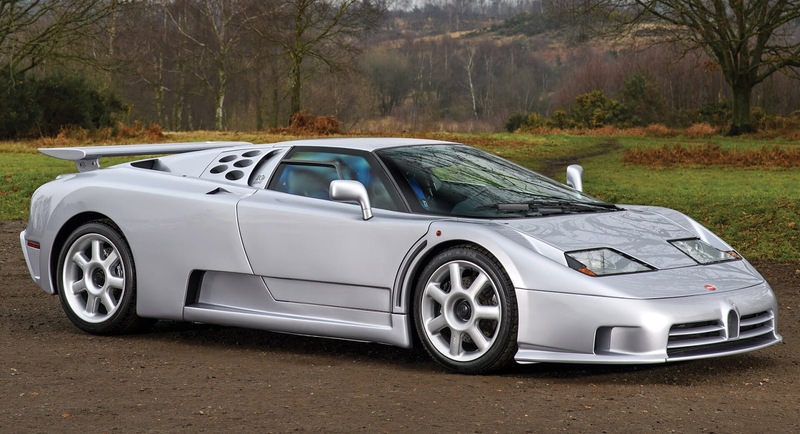 Little wonder, since the EB110 was the brainchild of Romano Artioli, the same man who birthed the Lotus Elise, one of the lightest sports cars on the market. 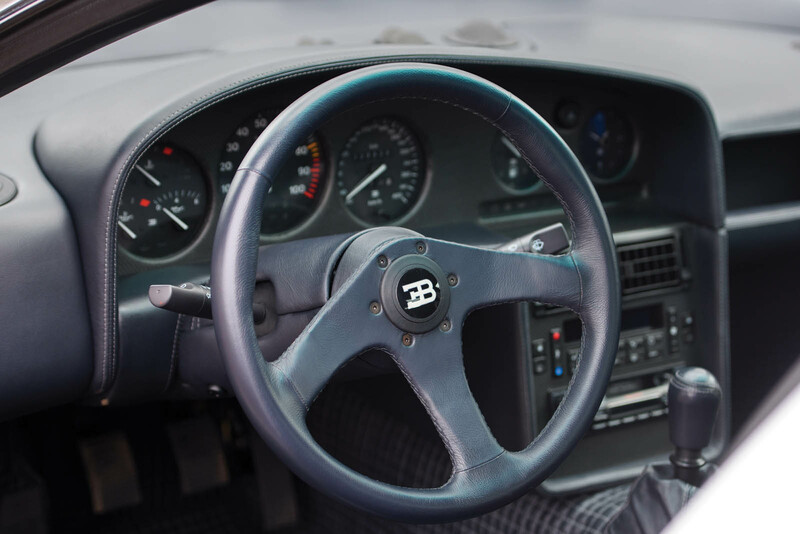 The bottom line is that the EB110 SS was a relative featherweight, a precision scalpel to the leather-handled sledge hammers that followed. 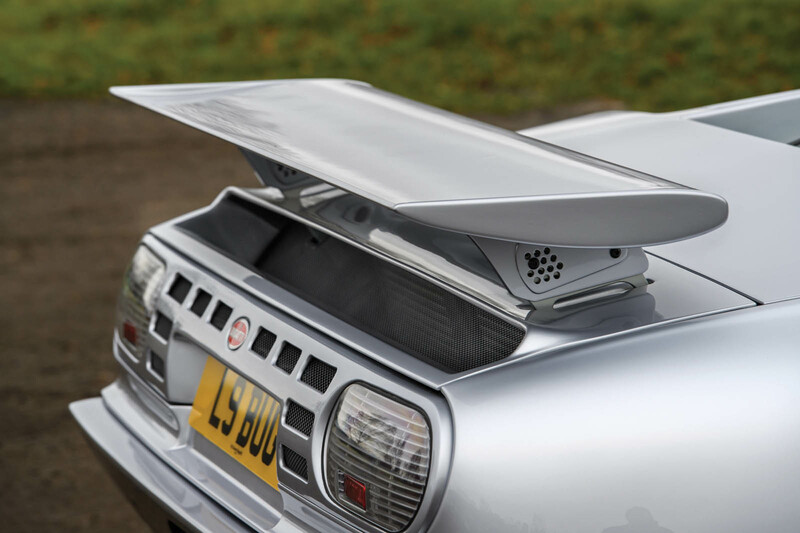 Put it up against either of its successors on a technical race track (without the long high-speed straights you’d find at Monza or La Sarthe) and we’d bet dollars to donuts the 110 would more than hold its own. 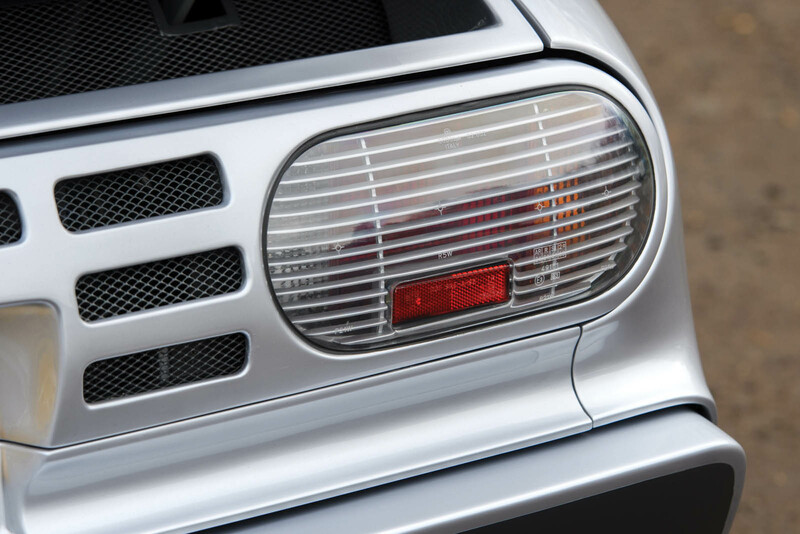 Michael Schumacher was impressed enough to buy one, and that speaks volumes about it. 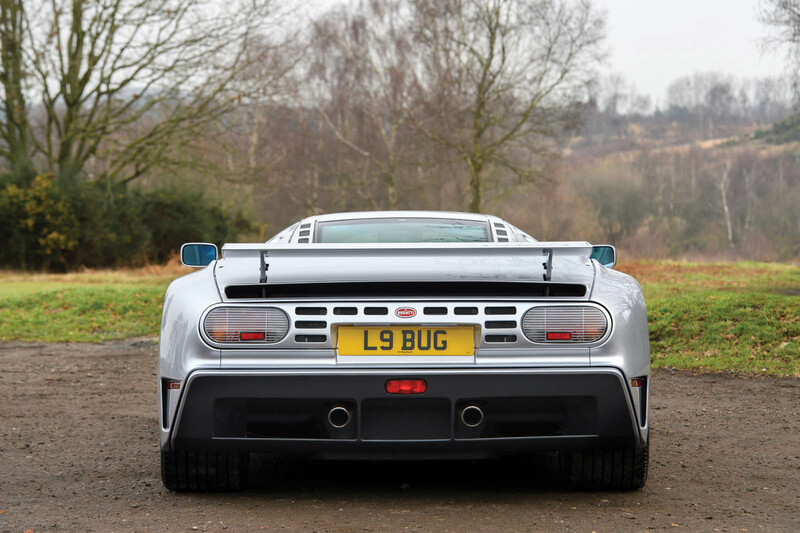 Unfortunately Bugatti only made 139 examples of the EB110 before it collapsed under the weight of Artioli’s ambitions, and only 36 of those were SS models like this one. But even in such rare company, this one stands apart. 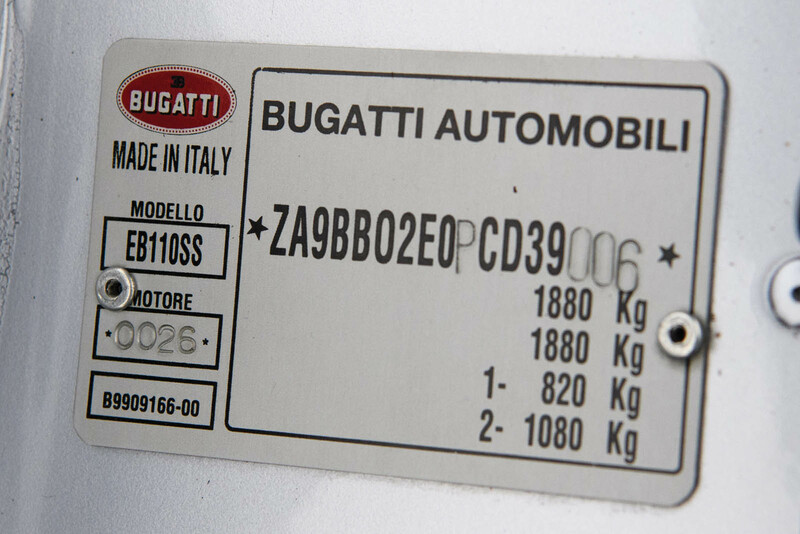 It’s a rare factory prototype, assured its place in the history books among the most notable vehicles ever to wear the Bugatti name. RM Sotheby’s (for which Tim Scott captured these images) expects it will sell for between €850,000 and €1.1 million (or about $1-1.3m) when the gavel drops in Paris on February 7. 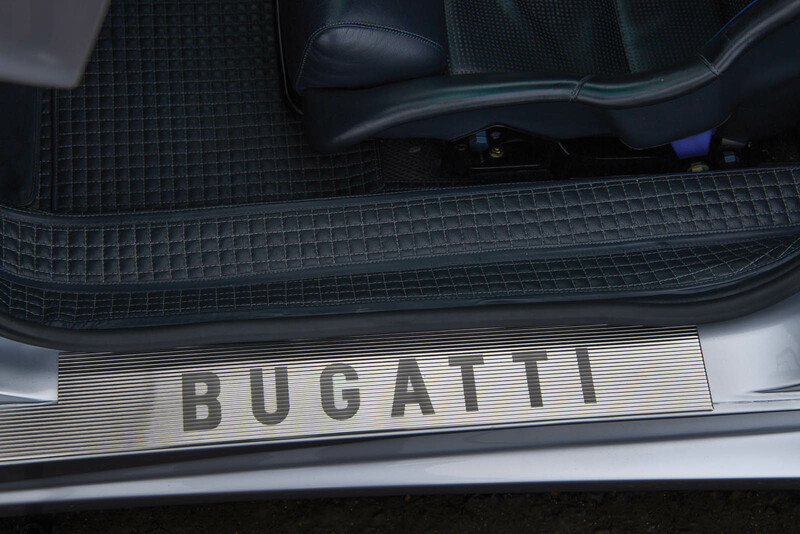 Bugatti have been mulling about expanding their lineup with new products for a few years now, and a saloon will probably be the first model they will launch. 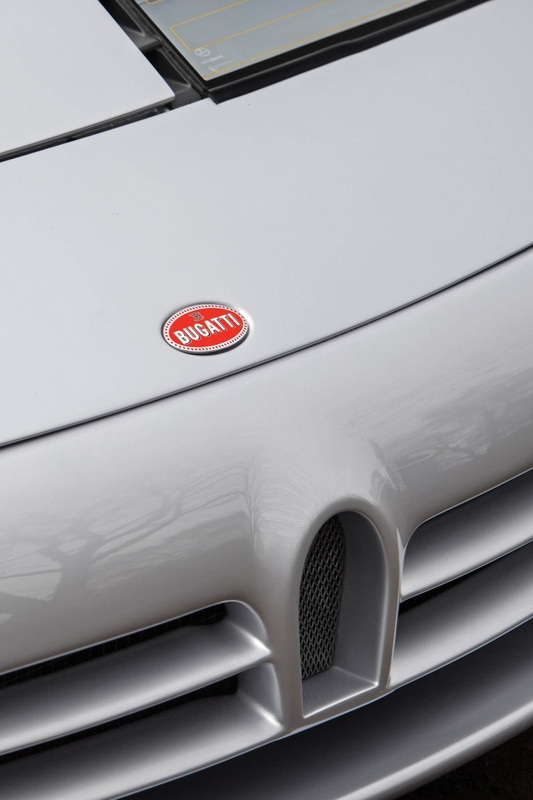 Whatever Bugatti has to prove, it proves with its road-going supercars. But there was a time when it competed in professional motorsports. 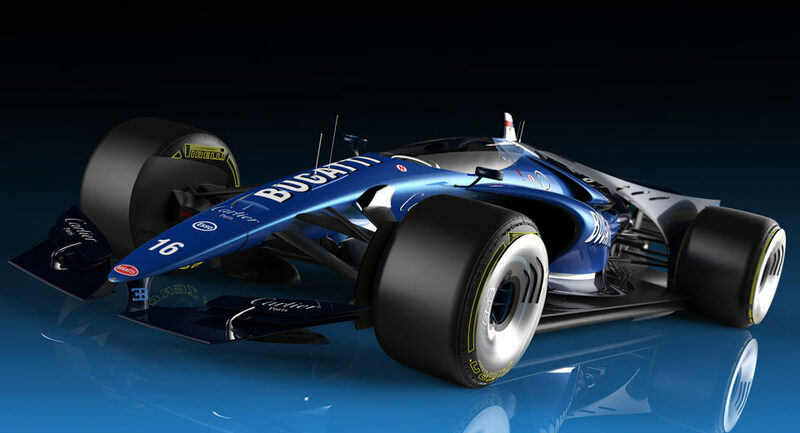 And looking at this design, we can't help but wonder if it shouldn't return. 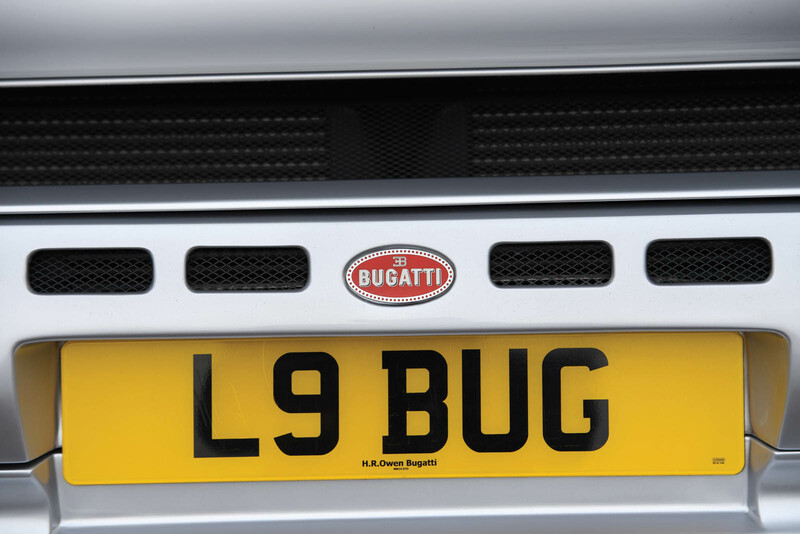 Bugatti opted to follow up on the Veyron with a further evolution of the same format. 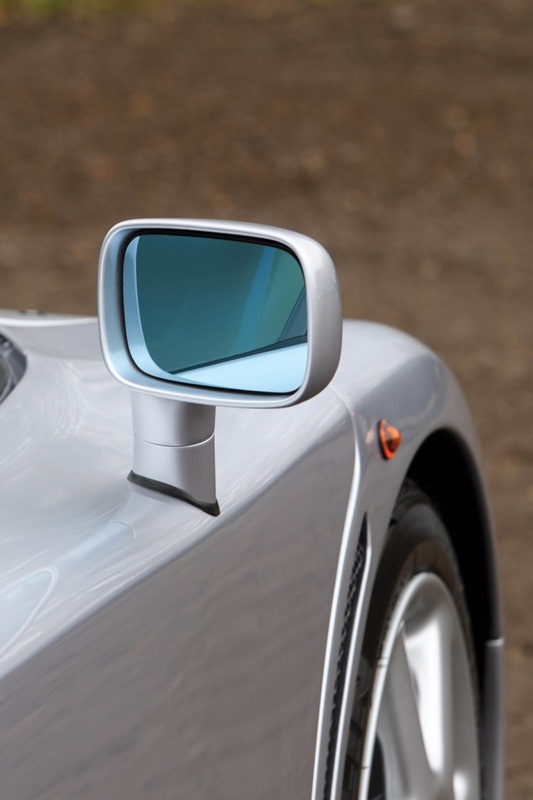 What resulted is the Chiron, and we're glad for it. But that wasn't always the plan. 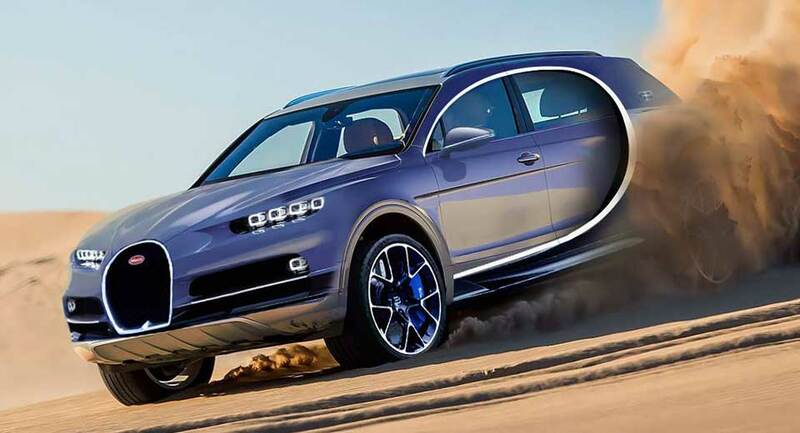 If you had told us a decade or two ago that exotic automakers would be breaking into the SUV market with six-figure luxury crossovers, we might very well have laughed in your face. But now we're looking at a reality where the likes of Aston Martin, Maserati, and Lamborghini are launching ever-pricier and more exotic crossovers – as are Bentley and Rolls-Royce. So who's next? 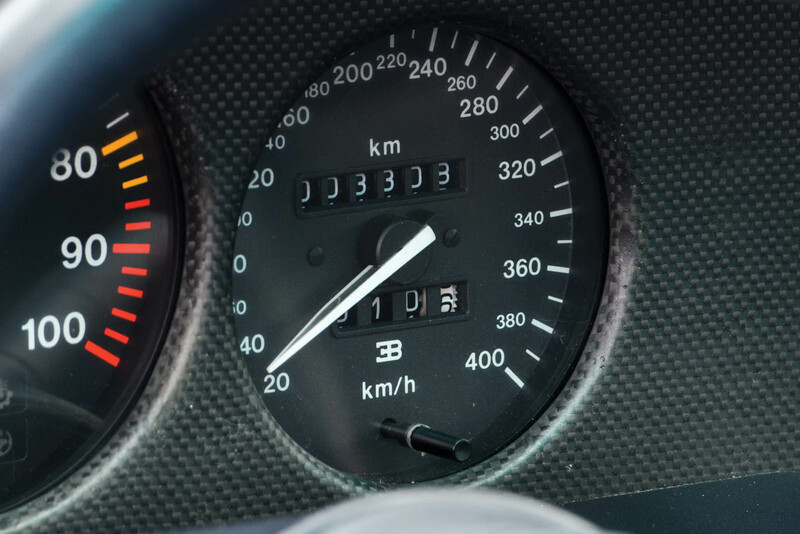 Classic and modern vehicles will be celebrated this weekend in Chantilly, near Paris, at the Concours d'Elegance Richard Mille 2016, which has reached its third edition. 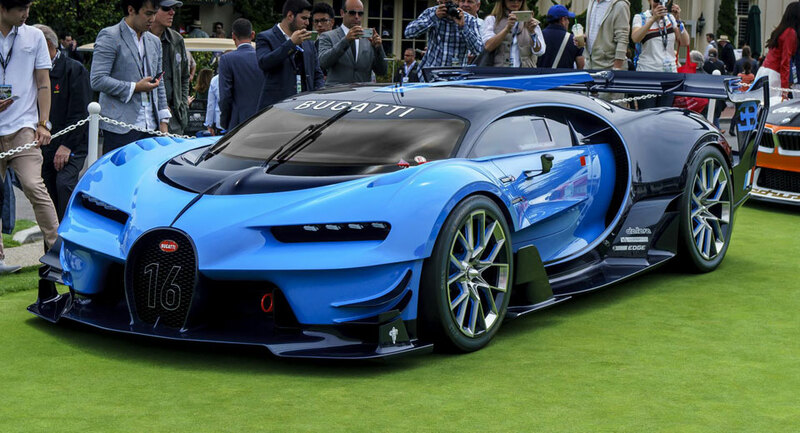 We know that Bugatti's Vision Gran Turismo concept was revealed to preview the Chiron, but is there a chance the concept could make its way into production? Few cars managed to turn as many heads as the Bugatti Vision Gran Turismo presented on the Concept Lawn at the weekend's Pebble Beach Concours d'Elegance and rightfully so. 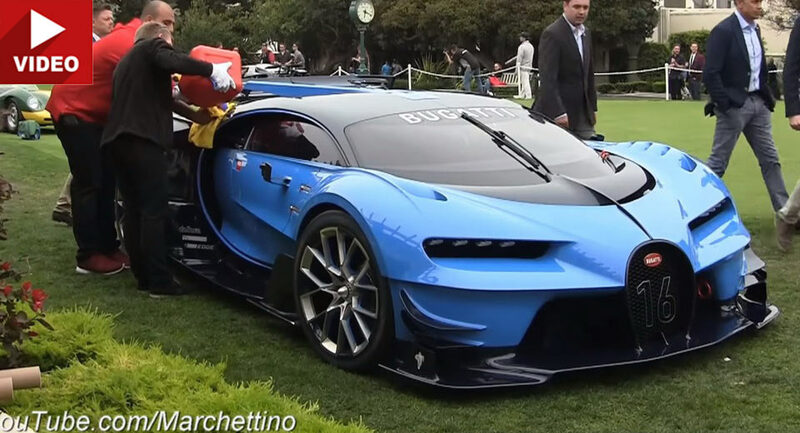 Clearly Bugatti has seen better days as the US debut of Vision GT concept saw the car run out of fuel in front of everyone at the lawns of Pebble Beach and then failing to load itself into a truck. 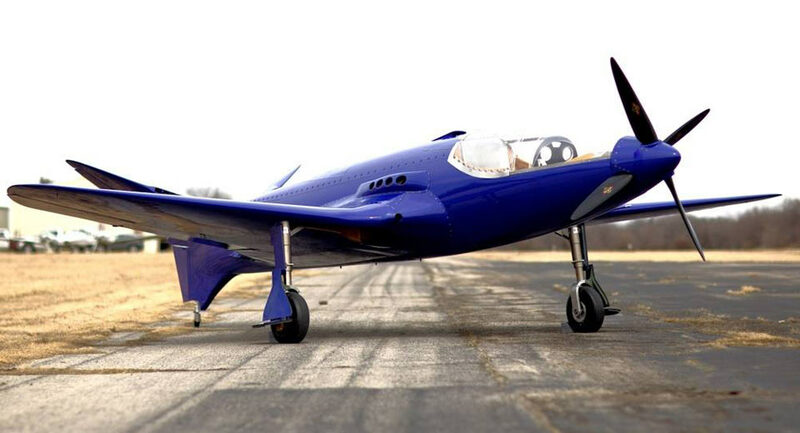 The Bugatti 100P replica project was possibly the finest example of a dream taking flight. But now that dream has crashed into the ground, taking with it the life of its pilot and the impetus behind its revival. 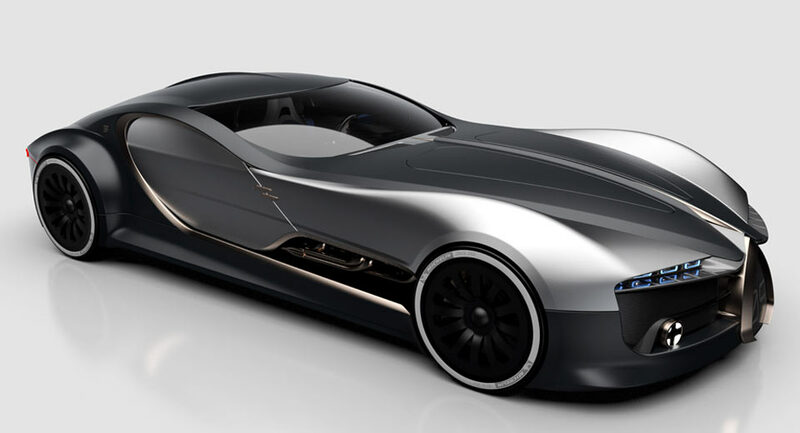 A Saudi Prince has just been announced as the buyer of the Bugatti Chiron show car from Geneva and most notably, the one-off Vision Gran Turismo Concept car unveiled last year.